That’s the estimated size of the online training and education market. If you’re a personal trainer, nutritionist or aspiring FitPro, it’s likely the reason why you want to learn how to become an online fitness coach. After all, you probably already know that creating a successful online coaching program is the key tipping point that will allow you to leverage your time, impact more people and scale your coaching. So if you are here to learn an exact step-by-step process to follow, to show you how to become an online fitness coach, then you are definitely in the right place. That’s exactly what I will be showing you in this blog post. Before digging in, as a valued reader of the blog, I’d like to extend you an invitation to tomorrows totally free online training workshop, ‘How to Confidently Create and Grow Your Online Fitness Business’. This workshop is for you if you want to know how to become an online fitness coach and finally create a plan that will produce real results to get you in front of your target market online, creating more meaning by having the opportunity to impact more people with your expertise. Is personal training a dying career? Here’s an interesting fact - 81% of all fitness coaches and trainers don’t make it past year 3. They either go broke or they burn out, or both. Unfortunately though, the way you were taught in typical personal trainer qualifications or courses, the models they showed you on how to attract new clients and deliver your sessions, was setting you up for failure. It’s business education 1.0 and it’s seriously out-dated. Nobody does it on purpose, they just didn’t really know what they were talking about. But if you think about it, when they teach you how to attract new clients, they teach you about going up to potential clients personally, on the gym floor or even on the phone, trying to build that RAPPORT, then following up and chasing people to start working with you. On the convert side of things, they show you how to work with clients 1-1 or at best in a small group. So there’s a whole lot of time involved just to get a small number of clients. On the delivery side of things, meaning how you provide your coaching sessions, sure some coaches might be charging big money per session, but it’s still 1:1, it’s still time for money and that’s completely un-scalable. So if that’s what you’ve always been taught, or you’re currently doing, which lets be honest is essentially offline personal training, it’s all fuelled by time and effort. So what can we do to change all of this, it’s simple, you learn how to become an online fitness coach. This means instead of manual prospecting, you will be doing automated marketing. Instead of selling 1-1, so hard and messy sales consultations, you will do 1 to many selling. Then on the delivery side of things, you’ll shift from time for money coaching to something much more leveraged – basically a 1 to many coaching model, all from the comfort of your own home, wherever that might be in the world for you. It’s therefore not time and energy based. And that’s exactly what I’ll be showing you how to do with your online fitness business, throughout tomorrow’s free online training workshop. To learn more about why the traditional personal training model is failing you, check out my article Become an Online Personal Trainer using these 3 Proven Steps. Is online fitness coaching right for you? Now it’s also important at this stage to really figure out if becoming an online fitness coach is right for you, in your chosen niche, and if it will work with the type of clients you want to work with. So let me tell you who it is for - if you work in the health and fitness industry as a trainer, therapist, educator, or coach, and want to help the most people, without working more and while creating the lifestyle you really want, then it is. Or, if you don’t work at all in the industry or only part time, but are looking to turn your passion for fitness into a new, rewarding career, this is perfect too. But ultimately, if you want to leverage your time, improve your income and help more people, learning how to become an online fitness coach is the quickest and most effective way of doing this. I common question I get from trainers is, “will learning how to become an online fitness coach take loads of time and money to set up and make successful” My answer is simple – we currently live in such a modern society where we can now create and grow online businesses in the quickest amount of time, with the least amount investment. It does not get any quicker or more affordable to start an online business. I was able to do it with very little money after quitting my job, and I’ve done all the hard work with research and testing to save you a ton of time learning this stuff yourself. It doesn’t get any easier or more affordable than this. Another question I’ve been getting is “I’m not very good with technology, so I’m not sure if I could make this work”. Again, I’ve done the all the homework so that you can use simple online software that does all of the heavy lifting for you. The tools that I use in my online fitness business are really easy to use, and I have yet to meet anyone who has told me they can’t actually use them too. We now live in the digital revolution and it’s time to embrace it or get left behind. The added benefit of this is developers are making all of this technology stuff ridiculously easy for normal people like you and me. I know. It’s likely a lot to take in. Fortunately, I break this entire process down in hyper-detail throughout tomorrow’s free online workshop: How ﻿﻿to﻿﻿ Confidently Create & Grow Your Online Fitness Business. Here’s the truth - If I can do it, then I know you can do it too. I’ve spent over 5 years personally developing, testing and optimizing my own successful online fitness business, Exceed Nutrition. Using this platform, we’ve helped and coached thousands of people through the fundamentals of achieving the body and health they’ve always wanted. I’ll show you exactly how I’ve done this in just a minute, but the result of this has lead me to go on and help as many other fitness trainers and health coaches do the same. I've learnt a ton of information that I feel is so beneficial and important, that I have to share it with everyone I can. That's why the Exceed Masterclass was created. Ok. Now you're super clear on what you want and if it is right for you... The big question now is how can you get there? How can you become an online fitness coach? So I'm going to share the 5 reasons most online personal trainers fail and how to turn them into your biggest opportunity. Building a successful online personal training business isn’t particularly hard or complicated. But there are many moving pieces and potential failure points along the way. How do you start building a website? What type of online programme do you provide? How do I market myself? These are just some of the many questions you’ll have to be ready to answer along the way. Most trainers approach their online fitness business as just another “thing” to do or learn. But the thing is, you can’t treat an online business as just another strategy, tactic or system. Your online fitness business is an immensely valuable (and fragile) asset that when done right, can generate 6, 7 or even 8 figures in revenues over the course of its lifetime. Takeaway: Time to respect it for what it is – a PROJECT – and approach it accordingly. The fact that creating an online biz is a *little* complex shouldn’t alarm you. Instead, it should excite you! Because where there are barriers to entry, there’s a distinct advantage for you to properly navigate them while your competitors struggle to leap over the same hurdle. I won’t win many friends here, but I’ll say it anyway. Do not… and I repeat…DO NOT even think about lead magnets, facebook ads, or flashy sales tactics before you finish building your core platforms. I know, it’s all the guru’s talk about, how to sell, sell, sell. But let me tell you – this is a major mistake. As we just acknowledged – building an online fitness business is a major project with many moving parts. Therefore, it’s vital that you retain every bit of focus and flow on executing the tasks involved in creating your platforms. The goal is to build a 6 or 7-figure, long-term asset. If you think you can put a sloppy looking program together and charge hundreds for it, you’re mistaken. Perhaps a number of years ago you’d get away with that, but not anymore. Online buyers are way more savvy and demand a lot for their money these days. Wannabe online personal trainers get too excited about selling way too prematurely. But the truth is, no tactic will work unless you have it built to begin with. And the only way to build an online fitness business is to be so laser-focused on the task at hand without overwhelming yourself on the “how to sell” part. Takeaway: Build it first. Then (and only then) think about how to sell it. “Build it so good, they’ll beg you to buy”. And then, when the time is right, amplify your profits with the tested and proven online marketing systems that put your sales on overdrive. Being an elite-level online fitness coach on your topic isn’t the same as being a great offline personal trainer. In rare cases they go hand-in-hand, but most of the time they don’t. I’ve known many brilliant personal trainers who’ve had so much support and motivation to share with their 1-1 clients. 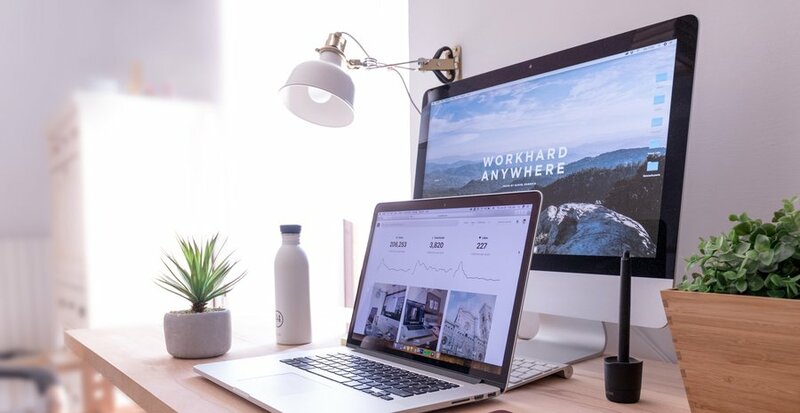 The only problem was – they had no idea how to connect with their online clients or how to present the material in a way that online clients could engage with it, implement it, and most importantly get results from it. As a result, engagement drops, results are non-existent, and you end up spending more time processing refund requests than you do coaching. Takeaway: The best online programs are taught by the best online fitness coaches. 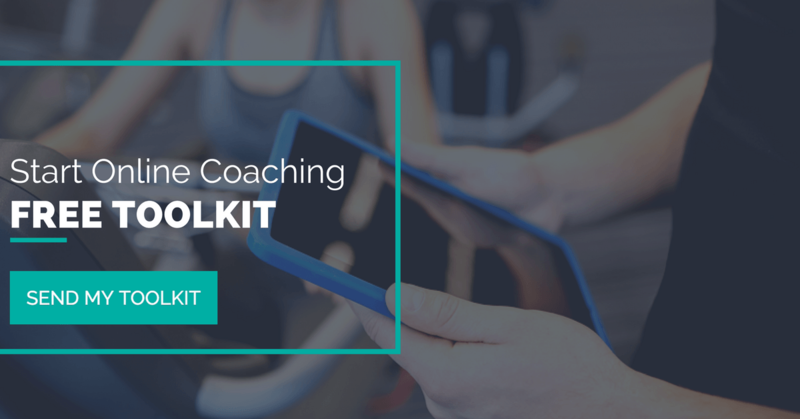 I’m not saying this to freak you out, but to let you know that with just a *little bit* of knowledge you can become a motivational and confident online coach that gets your clients results. 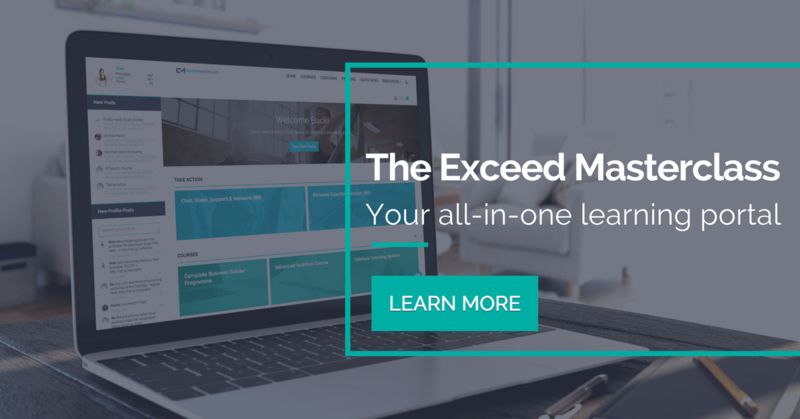 The bar for coaching has been set pretty low in our industry, and with just a few quick upgrades you’ll quickly differentiate yourself from even the more seasoned experts in your niche. Online personal training is meant to be client focused, results-driven and process-oriented. Your online program doesn’t need hours of recorded video tutorials, weekly skype calls, food logging software, members areas or recipe banks. It blows my mind how complicated some trainers believe their online coaching program needs to be. Think about what delivers your offline clients results - it’s your guidance, support and accountability that changes people’s bodies and health. It’s therefore not about the ‘stuff’. Many starting online personal trainers simply need to replicate what they are already doing offline to get results. This means showing up for your clients online, giving them access to you and making them consistent to your advice. Your clients are busy… and if their problem is urgent, they want to learn how to solve it in the most efficient way possible. That’s not going to come from sifting through hundreds of videos or from the expensive ‘online coaching’ software that you think makes you look professional. Takeaway: The goal of your online program is to solve your client’s problems in the clearest, most efficient and impactful way. Sadly, nobody is taught internet marketing in school or even in personal trainer qualifications. Yet it’s essential for successful online personal training. So what does it really mean to do ‘internet marketing’ with people you would want to buy your online coaching or programs? It does not mean that by just having a cool logo and funky website that clients will want to work with you. It means sending messages that provide value and get a flood of responses saying "wow, tell me more"
It means receiving 'out of the blue' messages over something you created or shared months or even years ago, and having that person say "this is exactly what I need, what's the next step?" Takeaway: Successful online personal trainers conduct good internet marketing by providing VALUE first. Value goes way beyond a good looking logo or food picture. It means giving away your best for free. You must solve many peoples problems (and mostly for free) and only then will you be rewarded for your efforts. For more about how to create value first online, check out our article 6 Tips to Create an eBook As an Online Personal Trainer.